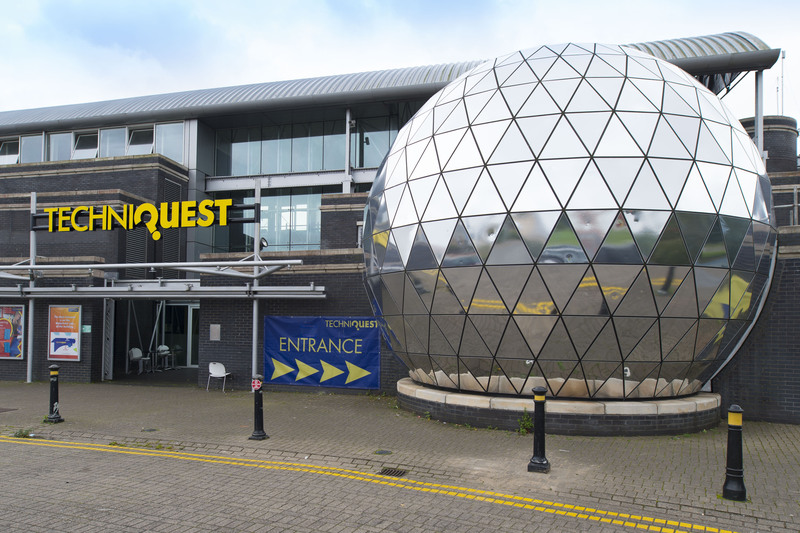 Techniquest’s iconic planetarium has undergone a makeover thanks to £12,000 in inheritance funding from an “extremely generous” family. The Cardiff-based educational charity’s planetarium has been recovered thanks to a significant donation from the estate of the late Clifford Raymond Pike. Mr Pike had funds directed to the scientific discovery centre after his estate trustees selected it as a worthy cause, with money also filtered into his estate through his late wife Mary’s inheritance. As Mrs Pike’s brother Lawrence Granville Davies had died months earlier, Techniquest was selected as an appropriate cause all three would have “wholeheartedly supported”. Thanks to their generosity the planetarium’s recognisable shiny exterior has been restored. Any additional funding will also be used to enhance the interior facilities, which assist the charity in providing unparalleled scientific education to the people of Wales. CEO of the educational charity Lesley Kirkpatrick, said: “The extremely generous donation from the estate of Clifford Raymond Pike is so beneficial to us here at Techniquest. “It has already allowed us to refresh our iconic planetarium, which is something that distinguishes our science discovery centre as a landmark in Cardiff Bay. Many of our visitors have already commented on the difference this has made. “Our 360° digital planetarium is an invaluable tool in our aim of making science fun and engaging as our planetarium shows allow visitors to watch as the Universe unfolds around them. This donation will ensure we can enhance that offering and continue to embed STEM into Welsh culture. “As an educational charity we are entirely reliant on the goodwill and generosity of people such as this in order to continue providing interactive scientific education.